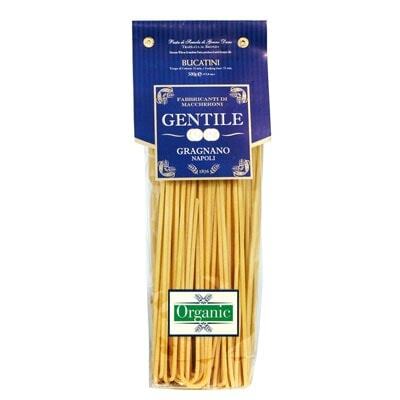 A delightfully peculiar spaghetti with a hollow center, this bucatini is 100% organic. It is from pasta maker Gentile, which is in the Campania region. This pasta comes in a cellophane, which in turn is inside a lovely cardboard box. Now, where can you find this pasta exactly? Well, it is type of pasta that is typical to the regions of Lazio, Liguria, and Naples. As for cooking it, people usually serve it with some delectable Amatriciana sauce. This particular sauce is made with onion, pecorino cheese, guanciale, and tomatoes. Piqued your interest? Grab a box today and try it for yourself!